Women's Rights and Women's Lives In France explores the everyday experiences of women between the liberation, and May 1968. In 1945, French women believed that a new era was beginning for them, in which they had finally won equality (the right to vote in 1944, equal pay and access to education and employment). But the new Republic considered that women's main role was that of motherhood. Competing visions of women's place had concrete implications for women's lives, influencing work, politics and ideals of femininity. 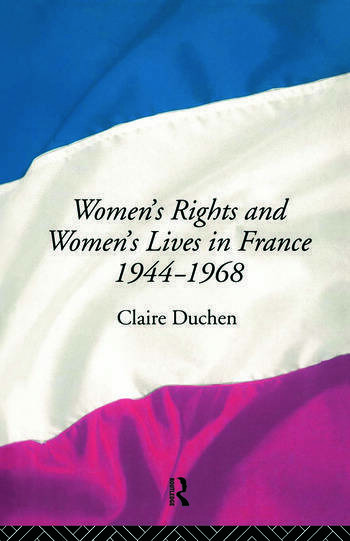 Working from a wide range of sources, including women's magazines, prescriptive literature, political pamphlets, fiction and memoirs, and government reports, Claire Duchen follows the debates concerning women through twenty years, and grounds them in the changing social reality of postwar France.